Low hop and malt character. Clean and crisp. Highly carbonated. SPILL THE BEANS…is Coffee Healthy or Harmful? There is so much confusion surrounding the benefits of coffee. It’s high in antioxidants and linked to a reduced risk of diseases. However, it also contains caffeine, a stimulant that can cause problems in some people and disrupt sleep. But many people will be shocked to find out that their commonly held beliefs are actually untrue. ! GAME: Dr. Taz will have 10 questions about coffee for Kelly & Ryan to answer. Both K& R will have a full jar of coffee beans. For every question they get right, they get to scoop out 1 cup of coffee beans with a scooper. Whoever has the most coffee beans at the end – wins! Question 1) True or False?…Coffee can worsen a blood pressure condition? TRUE – While evidence has repeatedly shown that consumption of caffeine does not increase the risk of high blood pressure, heart disease, or heart attack, those with pre-existing blood pressure conditions should avoid coffee consumption. Drinking coffee, a recent study suggests, puts people with hypertension at an increased risk for heart attacks and cardiovascular events. Question 2) True of False?…Coffee is connected to Cancer. FALSE – Coffee is actually on the list of cancer-fighting foods published by the American Institute for Cancer Research because of its high antioxidant content. The antioxidants in coffee protect your cells and keep them healthy. Various studies have linked coffee to decreased risk of liver, breast, prostate, and melanoma skin cancers, among others. Question 3) True or False?…Drinking coffee leads to dehydration. FALSE – Drinking caffeine-containing beverages as part of a normal lifestyle doesn’t cause fluid loss in excess of the volume ingested. While caffeinated drinks may have a mild diuretic effect — meaning that they may cause the need to urinate — they don’t appear to increase the risk of dehydration. Question 4) True or False?…Most of the harmful effects of coffee are due to caffeine? FALSE – In fact, the additives are more of a concern when it comes to your health. The syrups, creamers, and the like can turn an otherwise healthy cup of coffee into a sugary mess which can lead to health problems down the road. Also, coffee beans tend to be sprayed with synthetic pesticides and other chemicals that were never intended for human consumption. If you are worried about pesticide contamination in your coffee, choose a quality, organic brand. Question 5) True or False?…Coffee increases stress levels. TRUE – Studies have shown that caffeine increases cortisol and epinephrine at rest, and that levels of cortisol after caffeine consumption are similar to those experienced during acute stress. Drinking coffee, in other words, re-creates stress conditions for the body. If you suffer from stress and anxiety, you might want to consider organic decaf. Question 6) True or False?…Coffee can reduce the risk of Alzheimers? TRUE – Alzheimer’s disease is the world’s most common neurodegenerative disease and a leading cause of dementia. Studies have shown that coffee drinkers have up to a 65% lower risk of developing Alzheimer’s disease. Question 7) True or False?…Coffee raises cholesterol levels. FALSE – Although caffeine is often seen as the culprit, the stimulant is not to blame for unfiltered coffee’s effect on cholesterol levels. In fact, the increase in cholesterol is believed to be caused by oils called terpenes that are found in coffee, but are mostly removed by filters. Question 8) True or False?…Coffee causes sleep issues. TRUE – Caffeine can have a disruptive effect on your sleep. The effects of caffeine can occur even when you consume it earlier in the afternoon or evening. One study found that consuming caffeine 6 hours before bedtime reduced total sleep time by 1 hour. Stick to coffee in the AM and reach for a green juice in the afternoon if you need an energy jolt! Question 9) True or False?…Increasing your coffee intake will help lower the risk of diabetes. TRUE – A recent study came out that from Harvard School of Public Health that showed upping your daily coffee intake by 1.5 cups can lower your risk of developing type 2 diabetes. Coffee contains several bioactive compounds that may improve your body’s ability to metabolize glucose, which could explain coffee’s diabetes-preventing benefits. Question 10) True or False?…Decaf is more harmful than caffeinated coffee. TRUE – Yes, decaf coffee can raise cholesterol levels, which may be of concern to people at risk for heart disease. And often times, potent chemicals are used to to strip away caffeine. If consumers want to be sure that synthetic solvents weren’t used to decaffeinate, they should look for the organic seal. Question 11) True or False?…Coffee is bad for your heart. FALSE – For most healthy people, caffeine can cause a short, temporary increase in blood pressure, but isn’t harmful in the long run. In fact, it’s even one of the best foods to eat to prevent clogged arteries. People with high blood pressure, however, should talk to a doctor to see whether they should limit caffeine. Even if you don’t have high blood pressure, feeling your heart race after your morning cup could be a sign that you’re drinking too much coffee. 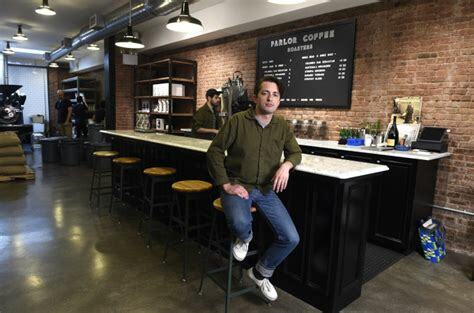 Kelly & Ryan learn all about coffee from Parlor Coffee’s Dillon Edwards. – These are whole or crumbled tealeaves. They are, believe it or not, the best way to make tea because they are able to expand and whirl around in the hot water, which allows them to infuse a better, more complex flavor. – Start with 1 measured tablespoon per 6 to 8 ounces of water (this is about equal to 1 tea spoon). This allows you to adjust the amount you use based on your personal preference. – You can steep these leaves in a pot of a cup, but it’s ideal to have a strainer or other vessel designed to contain the leaves, like a metal brewing basket or cloth filter. -These were designed for quality with convenience. The airy design allows you to buy whole leaf tea in a disposable sachet, which yields a better product that other types of tea bags. These can also be brewed more than once, much like loose tea. – These sachets are designed to fit in round mugs, allowing the water to surround the bag, which provides a fuller body tea. They are filled with finely snipped tea just like a square tea bag. – These are your everyday tea bags that have been around forever. They are super convenient and inexpensive because they are easily mass-produced. I would recommend this only for basic black tea or for making iced tea. Any version you might doctor with sweetener, milk, or lemon juice. True Tea: These are white, green, oolong, and black varieties. The tea all comes from the same tea shrub but the type of tea simply changes with the level of oxidation during processing. – These are young leaves from a tea shrub that have been harvested before being allowed to open. The are minimally processed and dried quickly, that way they do not oxidize or ferment as much as green or black teas. This results in a lighter flavor and color. These are said to be higher in antioxidants. They get their name from the white-ish hairs that are on the outside of the leaves. – Green tea are leaves from a tea shrub that have gone through a longer oxidation process than white tea but shorter than black or oolong. The flavor is still rather mild but they are also rich in antioxidants. – Just a tad lighter in flavor and body than traditional black tea. Not quite as oxidized as black. – This is what most people know of as tea. It’s oxidized the most during processing, which gives it a rich, full flavor, and the most caffeine. Herbal Tea: This classification of tea really covers any other tea that isn’t made from a traditional tea shrub. These can be made from herbs, spices, fruits, roots, flowers, and even other shrubs or leaves. Types of herbal tea include: Ginger, peppermint, chamomile, turmeric, rooibos, lemon or citrus, cinnamon, hibiscus, etc. – Any flavor (whether naturally occurring or not) can and will affect the flavor of your tea. – Only use fresh, fresh filtered, or spring water. Great tasting water will equal great tasting tea. – These allow you to heat water to an exact temperature, which is ideal if you plan to brew any tea that requires the temp to be below boiling. – These are easy to use and ideal for boiling water. If you are looking for a temperature below boiling, simply pull it from the heat before the kettle sings. – I like this because you can estimate the water temperature by watching the bubbles on the bottom of the pan as well as the steam coming off the water. Alternately, you can use an instant-read thermometer to check the temp. 160 to 190 degrees: This is ideal for white and green teas, which steep for 2 to 5 minutes. 180 to 200 degrees: This is the ideal temperature for oolong tea, which you should steep for 3 to 6 minutes. 200 to boiling, which is 212 degrees: This is ideal for the most extraction. That’s what you want for black tea, which should steep for 3 to 5 minutes as well as any herbal tea, which you would steep for the longest time at anywhere from 5 to 7 minutes. © Disney ABC Home Entertainment and Television Distribution.